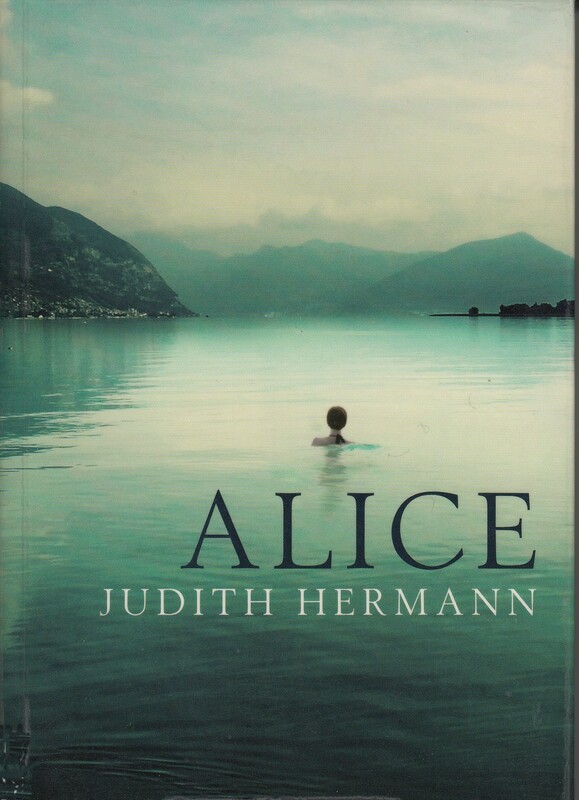 I came across Alice, by the German author Judith Hermann, because it has been longlisted for the Independent Foreign Fiction Prize. It’s a series of five interlinked short stories forming a novella-of-sorts, each one meditating on the experiences of Alice as she deals with the deaths of people close to her. As such, it’s well done. The translation by Margot Bettauer Dembo is good, and the stories integrate well together. There is an authenticity about the situations in which we find Alice: being there for her friend Maja when her husband Misha is dying, a gesture all the more remarkable because Alice was once Misha’s lover. Getting irritable with a Romanian driver en route to a friend who dies unexpectedly in Italy. Seeking out the partner of a homosexual uncle who died before she was born, coming to terms with the fact that one never can know why someone chooses suicide. Waiting with a friend for the inevitable death of her husband. Finally her current partner dies, and she stumbles through the days, clearing out his things, selling his car, seeing him everywhere and nowhere. The narration is remote, calm and observant. There is a lot of detail which highlights the ordinariness of life even when one is dealing with the extraordinary emotions of grieving. Everything seems suppressed. The thing is, how much does one want to meditate on grief and loss? The answer for me was, not very much. I didn’t feel that this book had very much to offer. There are no great insights, just the depiction of common experience. I doubt if it would offer solace to anyone bereaved – it’s too detached, implying that to howl in anguished grief would be bad-mannered or immature. It illuminates a human condition, but that’s not enough, in my opinion, to warrant nomination for a major prize. Just not my kind of book, I guess. Hmm. Just about to start this one. I think. general consensus on this book seems to be mnaah, why bother! Well, yes, Stu and Gary – but why then was it longlisted? What have the judges seen in it that has escaped me? Hi, having not read it, I can’t really say, beyond conspiracy theories, such has she been missed before, but that accusation could easily bee thrown at Sjón who was listed before with Blue Fox Although I do think he deserves to be there as From the mouth of the whale is fantastic story & translation. Oooh, I do like a good conspiracy theory!